Whole-exome sequencing is a cost-effective way of detecting clinically relevant small variants with high sensitivity. However, targeted assays have limited ability to detect CNVs, because only CNVs that significantly intersect exons can be detected, and in general the breakpoints will not be captured. Until now, clinical NGS tests have employed multiple workflows to reliably capture both the clinical small variants and the CNVs. 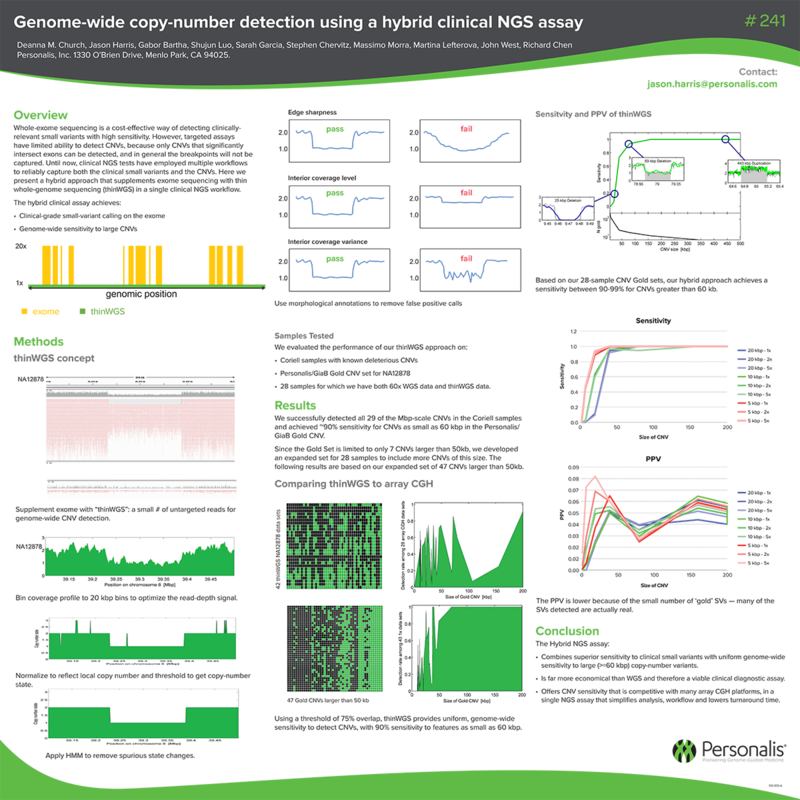 Here we present a hybrid approach that supplements exome sequencing with thin whole-genome sequencing (thinWGS) in a single clinical NGS workflow.